Fiat hopes that reshaping the Bravo hatchback into a crossover will lead to a surge in European sales. TURIN – Fiat has decided it won't launch a new conventional hatchback to rival the Volkswagen Golf, Europe's best-selling car. Instead Fiat CEO Sergio Marchionne wants the Italian automaker to replace its slow-selling Bravo compact hatchback with an all-new high-roof crossover inspired by the hot-selling Nissan Qashqai. Marchionne first hinted at Fiat's plan to make the bold product move at the Detroit auto show in January. Fiat finalized the decision to make the switch late last month, people with direct knowledge of the matter told Automotive News Europe. The car will launch in 2013, the sources said. The compact class is Europe's second-largest segment with total sales of 3.16 million units last year, according to data from JATO Dynamics. Compacts accounted for 22 percent of Europe's total sales of 14.3 million units last year. The subcompact segment was Europe's largest with 3.64 million sales and a 25 percent share. 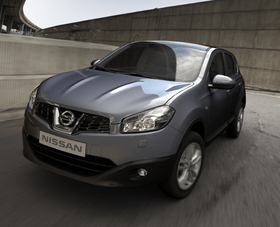 The current Bravo and Qashqai both launched in Europe in 2007. Their sales results were close at first but last year the Qashqai outsold the Bravo by a 5-to-1 margin (216,091 to 44,850), according to JATO data. Nissan launched the Qashqai, which looks like an SUV but was benchmarked on the Golf, to replace the slow-selling Almera compact range. The car has been a huge success, even outselling the Peugeot 308's popular range of hatchbacks and wagons by more than 50,000 units last year. Conversely, the Bravo, only offered as a five-door hatchback, saw its sales spiraling down from 95,292 units in its first full year on the market (2008) to 44,850 units in 2010. It's ranking in the segment has fallen to No. 18 from No. 12, according to JATO data. How bad has the Bravo slipped? It was outsold by a niche product, the Skoda Yeti (47,003) and barely beat the Toyota Prius gasoline-electric hybrid (42,816). When launching the Bravo, Fiat had said it was planning to sell "at least" 120,000 units a year. The company said the car would make a profit as long as 75,000 units were sold a year. The Bravo surpassed its 75,000-unit target in 2007 and 2008 but has missed the mark for the last two years. Talking in Detroit in January, Marchionne said that one of the biggest issues Fiat needed to address was its strategy for the compact segment. "There's no obvious answer to that question, and I think that replication of a me-too vehicle in the compact segment for Fiat is totally inappropriate," Marchionne said at the time. He added that he was meeting with Fiat's brand people and design team to review the options Fiat had for the compact segment. "I don't think it's going to be a traditional offering," he said at the time. Fiat originally planned to replace the Bravo with compact hatchback and station wagon in 2013.